Gallery Specials is your opportunity to purchase items at "Discounted Prices". These pieces are new, in perfect condition and highly desirable. Discounts range from 10% - 60%, limited to only one of each item on the "Specials" page. Many include free shipping in the USA. Since these are specially discounted items, we do not take returns or make refunds, all sales are final. Each item is fully insured for loss or breakage, making your purchase safe. GlassMaster Bernard Katz's Grand Serenoa Sculpture. Created in a satin and high gloss finish for dramatic effect, the rich dark brown colors pop against the softer beiges. Jewelry Designer David Leight, "Wire Wrapped Oval Pendant". 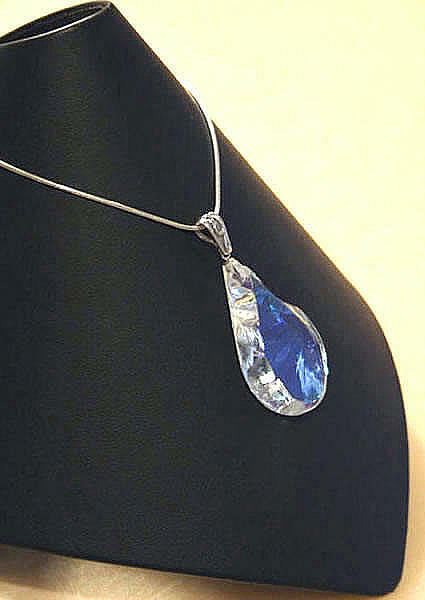 Shown in the blue aqua color, this pendant is striking with the high polish finish and deep blue color. It is made of glass crystal and comes with a 925 pure silver snake chain. Wire wrapping made of fine silver. Approx.1.70" h x .75"w x .35"d.
MAGICK Creations Earrings in pure14k yellow gold with two .025 CT diamonds. Meticulously hand crafted by only the most gifted artists. Artist signed Fusager and approximately 9/16" x 9/16". Most sought after high end cloisonne jewelry in the entire world. 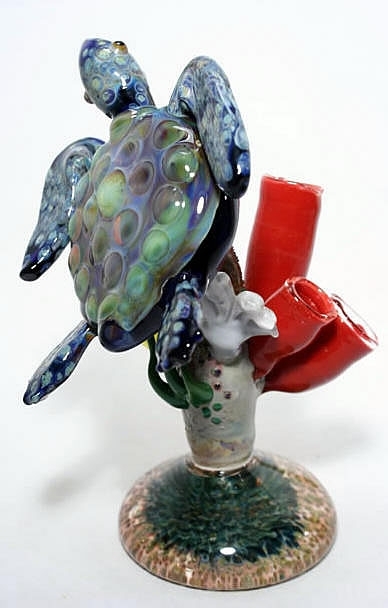 GlassMaster Jeremy Sinkus's Turtle Sculpture Reef, an undersea depiction of a sea turtle swimming through a coral reef. A must for collectors who need the ultimate in life-like glass 7.25 "x 4.25"w x 4.5"d.
Kroma Jewelry Designers. 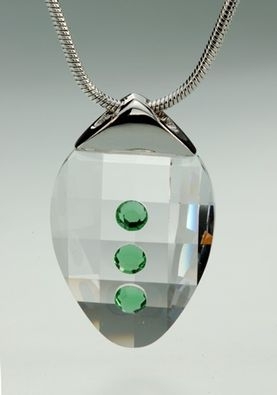 Fashion designed exquisite seven gemstone pendant, set in 92.5 fine sterling silver. 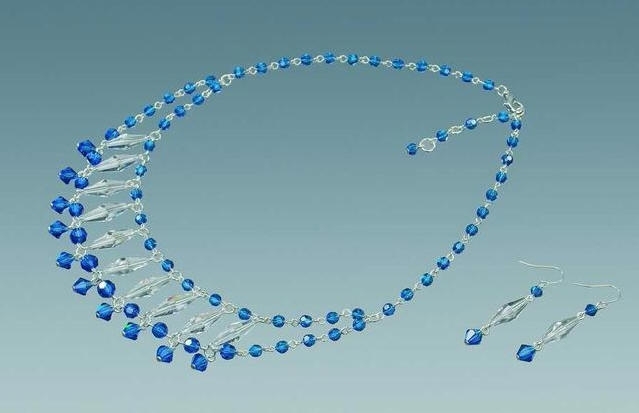 Gemstones are set on 18.5" snake chain and measure approximately 6.0" across. Zero Gravity Glass round bottle stopper. Great for wine bottles, adds a touch of class. Stainless steel and dichroic glass with stand for display. 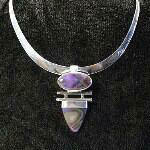 It is approximately 3.65" h x 1.20" w.
Terra Bijou Regal Mookanite Pendant. One of a kind designer pendant, will not be created again. Two semi precious stones of mookanite, garnet and citrine with opaline drusey quartz all set in silver. 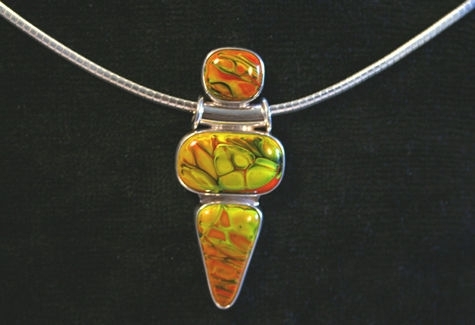 Pique Glass Design artists Rick Jarvis & Alison Baker, remarkable Hot Lava Pendant Deco. 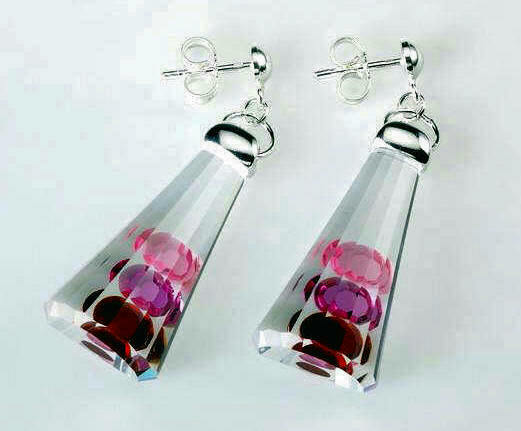 A unique design in glass, set in (92.5) sterling silver. It includes an 18" Omega sterling silver chain 4mm wide. Detailed Description Pique Glass Design, GlassMasters Rick Jarvis/Alison Baker. Lavender Ripple designer pendant. A unique design allows it to be worn as a brooch or pendant. Detailed Description Pique Glass Design, glass artists Rick Jarvis/Alison Baker. Art Deco Hot Lava designer pendant. 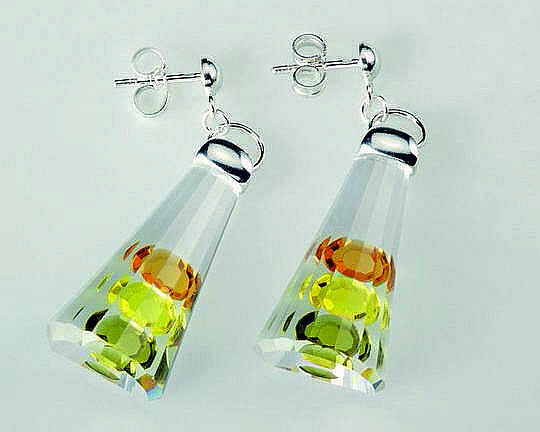 An exquisite design of glass, set in sterling silver. includes a 16.0" omega sterling silver chain 4mm wide. Pique logo stamped on reverse. Approximately 1.75"h x 1.00"w.
Simone crystal earrings rosa, elegant hand cut and sculpted crystals in three shades of red. 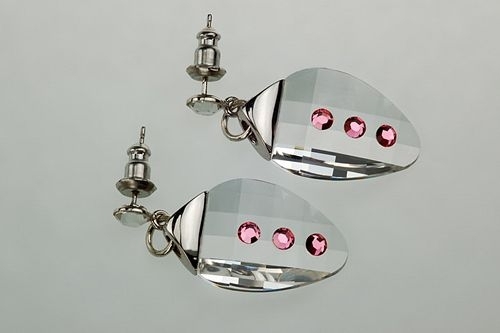 Exquisitely designed and created with 92.5 sterling silver and rhodium, approximately 1.6" x 0.6". Simone crystal earrings yellow, elegant hand cut and sculpted crystals in three shades of yellow. Exquisitely designed and created with 92.5 sterling silver and rhodium, approximately 1.6" x 0.6". GREEK GODESS COLLECTION, Artemis Set Capri Blue. 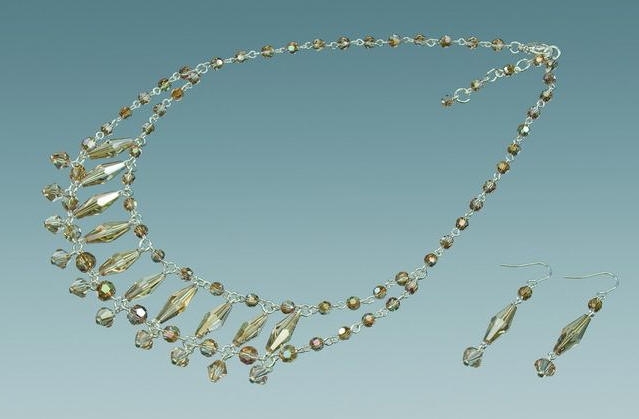 Magnificent Crystal Necklace including matching earrings. 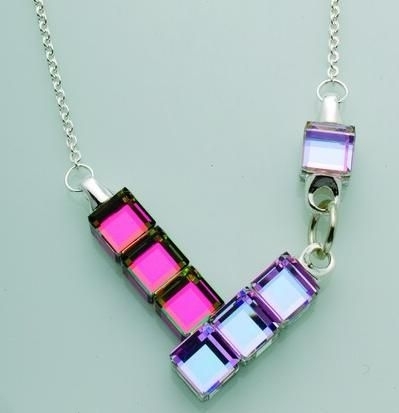 Necklace measures approximately 17.7". Artemis Set Capri topaz. Magnificent Crystal Necklace including matching earrings. Necklace measures approximately 17.7". 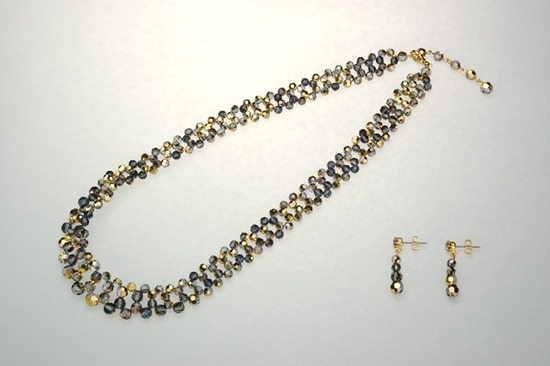 Preciosa Crystal Aurum set consisting of an exquisite crystal necklace with matching earrings. Necklace is approximately 18.1" long. Preciosa Crystal Necklace, exquisite design in Jet Hematite approximately 18.1" long. Glittering Cubes II Pendant, elegant hand cut and sculpted crystal, with rich warm colors of aqua and amethyst. Uniquely designed 92.5 sterling silver chain included. This pendant is contemporary and perfect for the woman with flair and style. Pendant measures approximately 1.20" x 1.70". 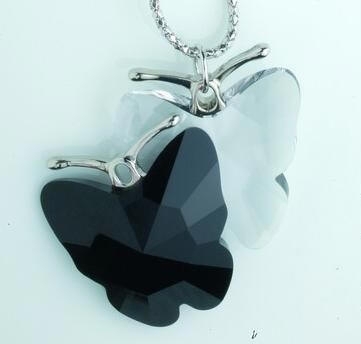 King Butterfly Duo pendant in Crystal and Jet Black. Magnificant hand cut crystal, with striking contrasting colors. 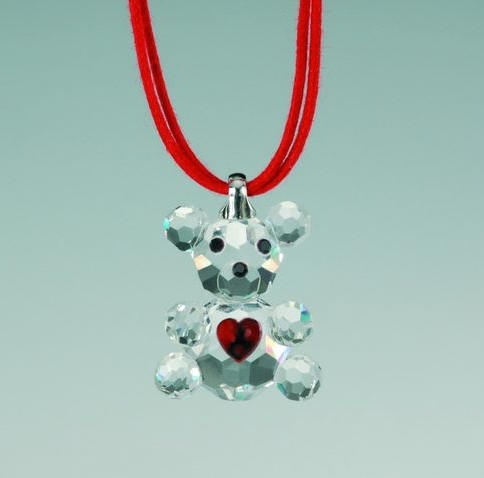 Comes with 92.5 sterling silver chain. King Butterfly pendant is approximately 1.80" x 1.90". Also available and shown in Opal and Sapphire. GlassMaster Elodie Holmes (Liquid Light Glass), Piatto Vase (Medium) Mystery Opal. A nicely designed Southwestern style vase with soft flowing colors. Artist signed Elodie Holmes and approximately 5.50"h x 5.75"w x 2.55"deep. Boar Glass Blue Luster Purse Vessel is reminisent of jeweled evening bags. Two vibrant colors form the background of each piece and a contrasting cane pattern floats across the surface of each side. Each piece has a unique color pattern and the shape of each piece will vary slightly. It is artist signed Hokanson, Dix and dated and approximately 11.75"l x 6.00"h x 3.70"d.
From Jewelry designers Auradror comes this beautiful flower pendant. Created with multiple layers of glass. It has a floral design of light green and dichroic glass for sparkle. A high polished surface adds to the elegance and the loose silver backing is attached for the finishing touch. It is engraved with the designers initials, AD in script. Also included is an 18.0" sterling silver link chain. Pendant measures 1.12" h x .72" w.
From Jewelry designers Auradror comes this beautiful flower pendant. Created with multiple layers of glass. 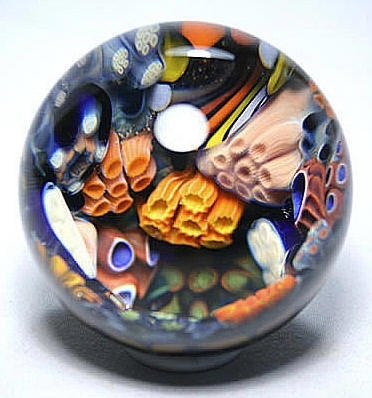 It has a floral design of amber and dichroic glass for sparkle. A high polished surface adds to the elegance and the loose silver backing is attached for the finishing touch. It is engraved with the designers initials, AD in script. Also included is an 18.0" sterling silver link chain. 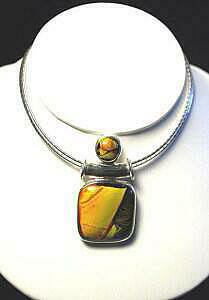 Pendant measures 1.17" h x .83" w.
Linda Shull Life Savor Watch, yellow. Fun, whimsical, hand made designer watch with an actual bracelet for a band, made of glass. Each life savor is connected with sterling silver links. This is an opportunity to own a designer watch made here, in the United States. Accurate Seiko quartz movement. Engraved with artist signature and dated. Medium size fits wrists 6.5". Linda Shull Life Savor Watch in lime. Fun, whimsical, hand made designer watch with bracelet made of glass. Each life savor is connected with sterling silver links. An opportunity to own a designer watch made here, in the United States. Accurate Seiko quartz movement, stainless steel case back. Engraved with artist signature, Linda Shull and dated. Medium size fits wrists 6.5". Linda Shull Life Savor Watch, pink. Fun, whimsical, hand made designer watch with bracelet made of glass. Each life savor is connected with sterling silver links. This is an opportunity to own a designer watch made here, in the United States. Accurate Seiko quartz movement. Engraved with artist signature and dated. Medium size fits wrists 6.5".